Mod The Sims - Artemide "Chimera" - *First object with multiple custom lights!!! ARTEMIDE "CHIMERA" and "MEZZA CHIMERA"
The very first objects that contains custom light definitions! "One of the most beautiful examples of the Italian Style: created by Artemide back in 1970, the "Chimera" and the "Mezza Chimera" (Half Chimera) were never discontinued, and still today they are a must-have piece of modern furniture!" The lamp is provided in two sizes: the "Mezza Chimera" - smaller - is to be placed on tables (any height); the "Chimera" - taller - just sits on the ground. The lamps can be operated like any other Maxis lamps: they can be set to On, Off and Auto-light; in addition - but only when the lamp is LIT - there are two more menu options: "Intensity" -> Low/Medium/High; and "Change Bulbs" -> (8 different colour options). 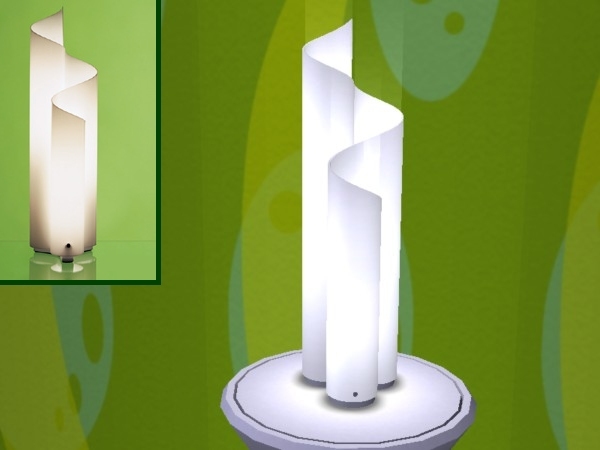 Mind that you can change the bulbs, but the external plexiglas part is always white (therefore, when the lamp is off, it will always be white; this is intentional: Artemide never produced this lamp in other colours). Please note also that the current setting aren't visible in the menus: i.e., if the lamp is lit you won't find the option "Turn on / This Light" (you'll find only "Turn on / This Room" and ".../All lights); if the bulbs are red you won't find the "Red" option; if the Intensity is set to medium, you won't find the "Medium" option. The basic installation requires downloading and installing only the "Artemide_Chimera_lamps.zip": install it just like any other object (extract the two .package files from the zip archive and put both of them into your Downloads folder). Then, read the following important paragraph. 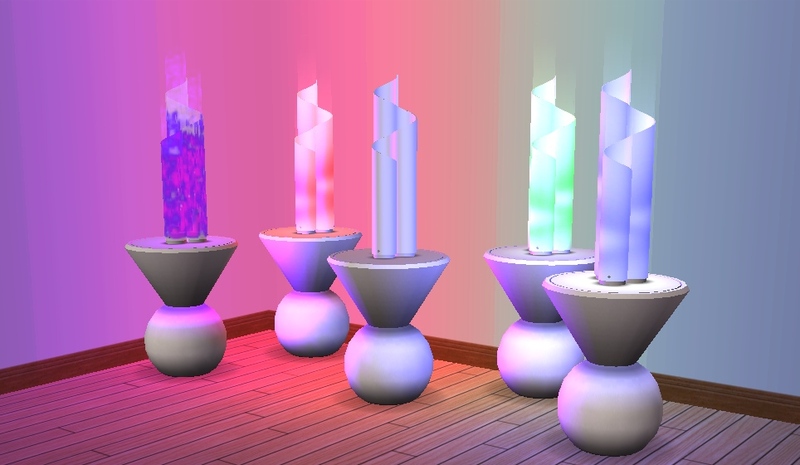 Almost all Maxis lights definitions are placed outside the object package, and are contained in several text files located in a specific folder in the game installation dir; only few Maxis objects, and now these lamps contain the light definitions inside the package itself. 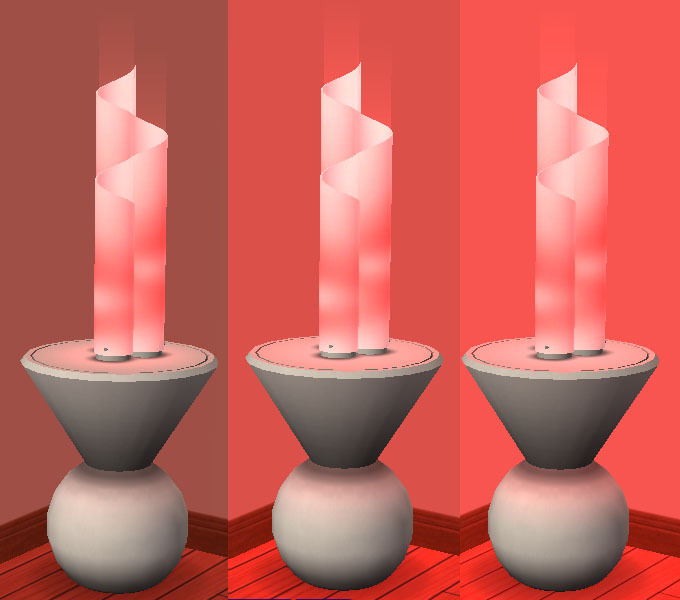 There is a known bug that affects all the objects of this last type (including the Maxis ones): with Nightlife, exiting and re-entering the lot prevents the light to be reflected by walls and floor ; only the objects will reflect the light. Technically speaking, the "diffusion light" stops working, while the "direct light" is not affected. Be sure to have installed the SCRIPTORIUM . Download the attached "Chimera_Light_Definitions.zip" and extract the file contained within (it is called "numenor_chimera_light.nlo", it's a plaint text file). Put the .nlo file in the folder "Scriptorium_CustomLights", easily accessible from the shortcut in your Downloads.